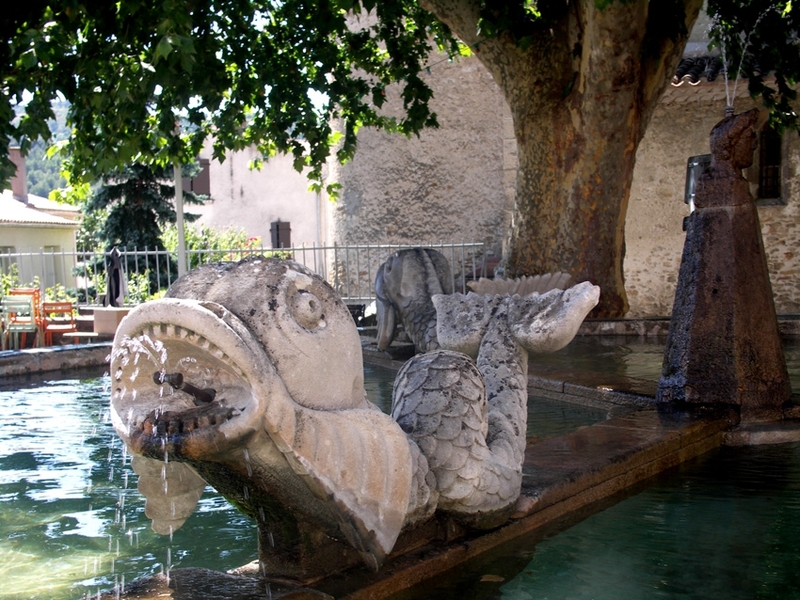 In this village of Montazels, just up the hill to the west of Couiza, is a main square with a large decorative fountain, just opposite the house where Bérenger Saunière was born! The square, place du Grifoul, was named after the beasts on the fountain. I have always been fascinated by the creatures, and it seems to me a strange coincidence that the Merovingian King Clovis was reputed to be born of a sea-creature that gave him mystical powers. I think the mythical creature looked like this. On this square is also the church, which is the one that he would have attended with his family. His father was the mayor of Montazels at one time, and also worked as a manager for the estate of the local Lord, the Marquis de Cazemajou. The village is quite high - from the square you can see Rennes-le-Château across the valley of the Aude, in the mountains. It's said that Bérenger, the oldest of five children, had a happy childhood, roaming around the countryside with an arm of younger boys who followed him wherever he went; of course, he was always a natural leader, being born under the sign of Aries. However, he studied hard and well and he and his family were well pleased when he gained a place at the seminary in Limoux to study philosophy, as they sometimes called religion in those days, in 1872. Although conventionally the oldest son followed his father in his profession, it seems all the family agreed that he had a vocation. I thought it was worth seeing, therefore, the church that he had attended as a child, over 100 years ago. A knock at the door of friendly neighbours opposite produced the lady with the key. 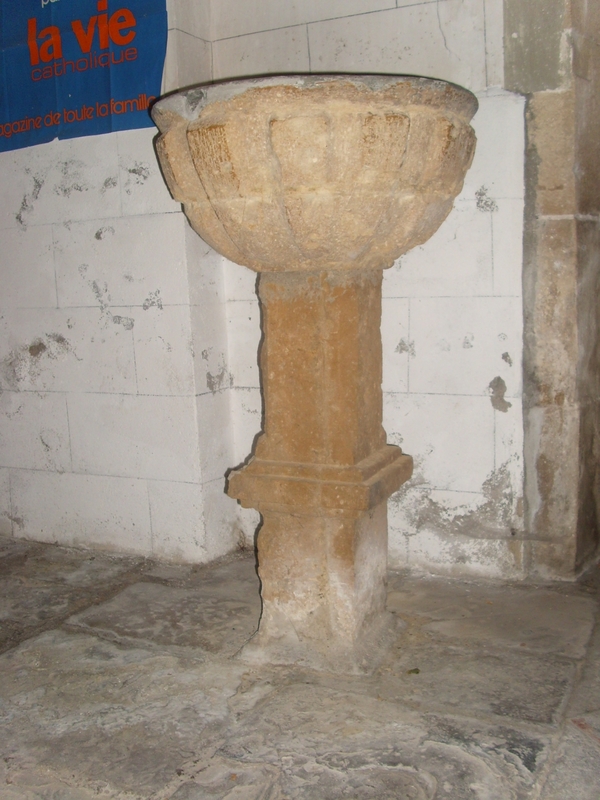 Well, I don't think the baptismal font just inside the door has changed much! and the floor is the original stone slabs. While Bérenger was at Limoux I'm sure he would have studied Jansenism (a form of socialist Christianity) and I'm sure he would have visited Notre Dame de Marceille, built on a site that has been sacred since Celtic times, with a holy healing well, and a Black Virgin. This place, and Limoux, were attacked by the Protestants in the sixteenth century, as was Couiza. 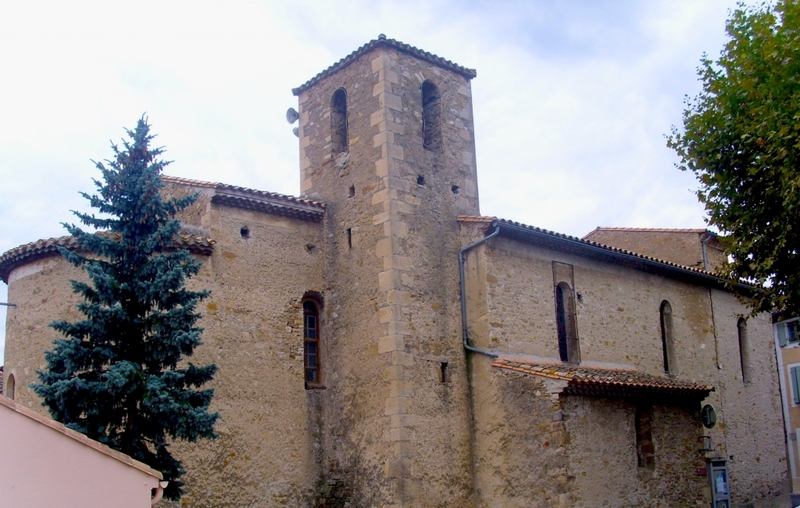 In 1879 Saunière was ordained and sent as an assistant priest, or vicar, to the church of St. André in Alet-les-Bains. 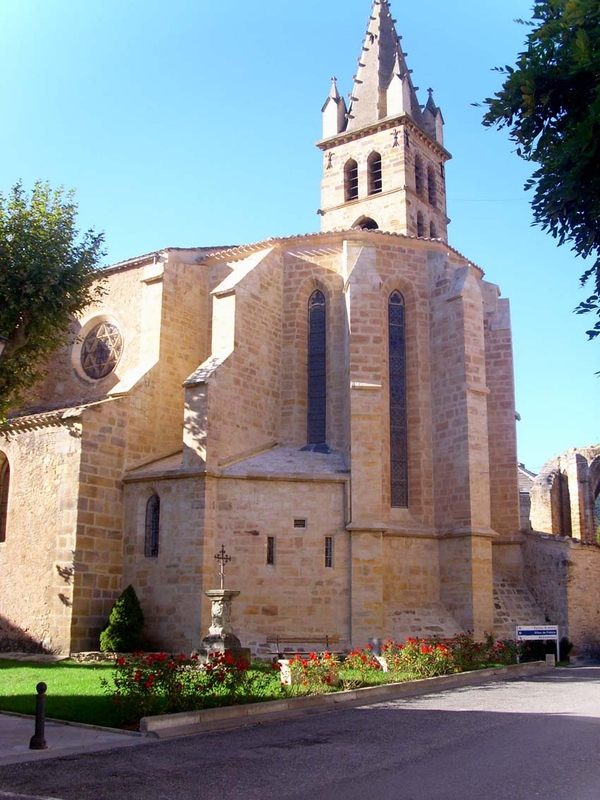 He would have enjoyed Alet with its famous abbey and its refined religion, in the countryside but not too far from the centres of civilisation such as Limoux and Carcassonne. It was probably there that he got to know his bishop, Billard, quite well. 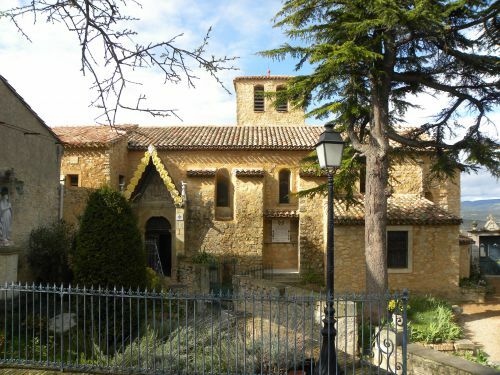 St. André was in the process of renovation, indeed, with the prosperity that the blossoming wine trade brought to Languedoc, most of the churches in this region were being restored. I think it was there that Bérenger first got the idea of all the valuable things that could be found and if it was your own parish you could attract a wealthy following. Priests were encouraged at the time to be mercenary, and to bring advantages to their church by cultivating rich patrons. Three years later he was went to Le Clat - it was his own parish of 300 people. Many say he was sent to that remote spot as some sort of punishment, but for myself, I think he and his bishop were well aware of what Bérenger's future career could be. Everyone knows that, between 1885 and 1917, the village priest of Rennes-le-Chateau was Bérenger Saunière. He became rich as a result of something he found when he was renovating the village church, dedicated to Sainte Marie Madeleine - Mary Magdalene. By the 1950's speculation of treasure and fortunes was running rife, articles were printed in newspapers, and the hunt was on for the treasure that Bérenger had discovered. In the early 1970's, films about the priest and his village appeared on British television. In the 1980's, the book "The Holy Blood and the Holy Grail" put the Rennes-le-Château mysteries firmly in British hands, and a whole spate of other books followed. Since then Berenger's life and activities have been examined minutely by those looking for clues to his treasure. However, none of the researchers investigated what happened to Berenger Sauniere before he arrived at Rennes in 1885, especially his term of service at Le Clat, to the east of Axat, in the Pays de Sault. But I was curious. Bérenger's history before his time at La Clat, and events during his time there, had great relevance to what he found at Rennes-le-Chateau. He came to le Clat in July 1882 and found a strange village. The people spoke their own language, a mixture of Spanish and Latin that dated from the 12th century. They did not intermarry but kept themselves to themselves, keeping their own customs and language. Berenger was expected to be teacher, priest and counsellor, and teach the people politics, that is, republicanism. (Later, in his first year at Rennes-le-Chateau, he was reprimanded by preaching against the republic but we don't know how he got on in Le Clat.) 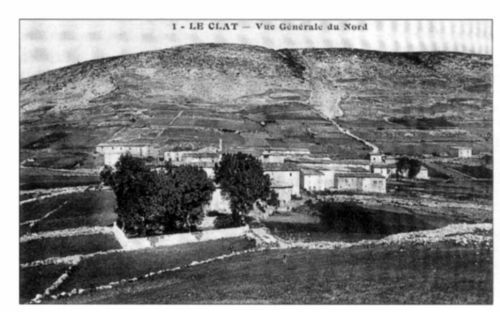 Three hundred people lived at le Clat; today there are only 34. I believe Berenger was sent to Le Clat by his bishop Billard as a testing time. Maybe the young priest was sent there to find something. 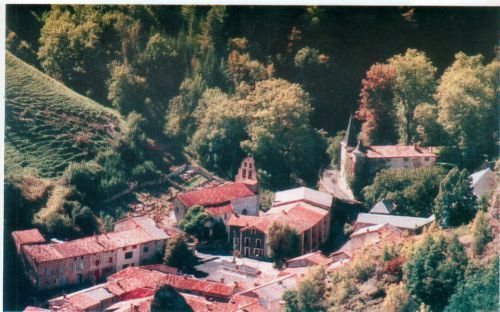 When Bérenger passed the test, he was sent to Rennes-le-Chateau, having served less than three years at La Clat, which was rare, most priests of the time stayed in the same parish all their lives. The village of Le Clat is situated in the Pays de Sault, an upland region typified by fertile highland meadows; sometimes the countryside looks almost like Switzerland. The Pays de Sault. so-called because the Romans mined salt there, stretches from Quillan through Axat to Escouloubre, west to Ax-les-Thèrmes, then north to Comus. It's bottom south-west corner is in Ariège, not far from Montségur, where so many Cathars were burnt alive. 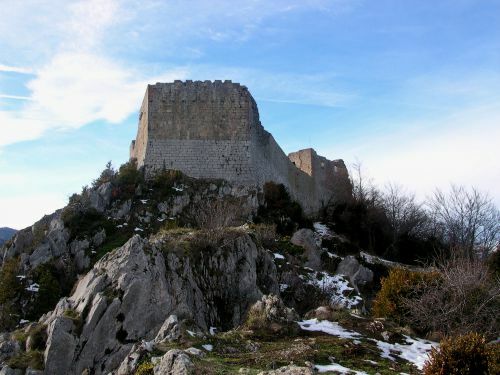 The whole of the Pays de Sault was Cathar right from the first century until the so-called heresy was wiped out by "the men from the north" who showed neither pity or mercy to those they destroyed in the name of Jesus. The Pays de Sault, especially at the Ariege end, was also the last place for Cathars to be eradicated, after the raid on Montaillou in 1309. They were the last to give up a religion that had lasted hundreds of years, quite different to Catholicism, and much older. This Christianity came early to the Pays de Sault. 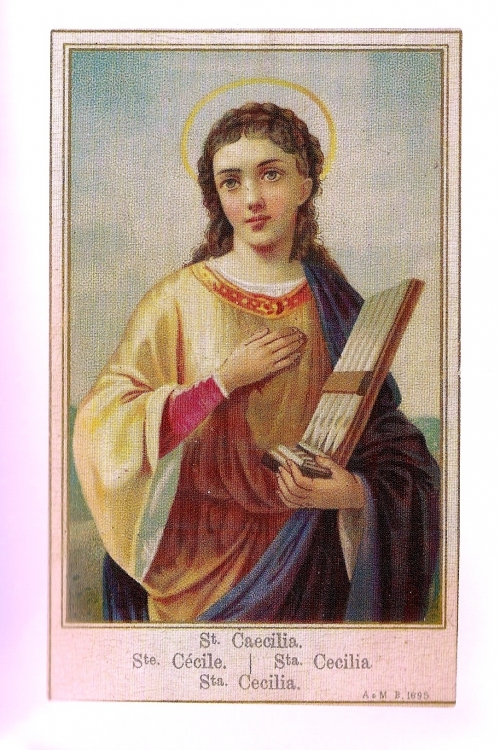 The vast majority of of the churches are dedicated to 3rd or 4th century Christian saints and there are two churches dedicated to St. Jean the Baptist, Jesus's cousin, and three to Saint Mary Magdalene. 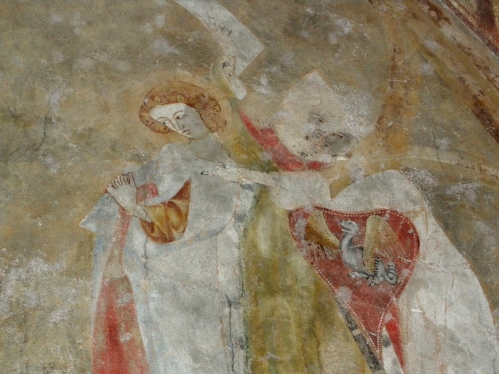 These two saints are always associated with the Cathars and the Templars, for the Cathars especially believed that Mary Magdalene and Jesus were married, while the Templars had a special interest in John the Baptist. Wayside oratories to Mary Magdalene still exist and processions take place every summer to her on her feast day, 22nd July. 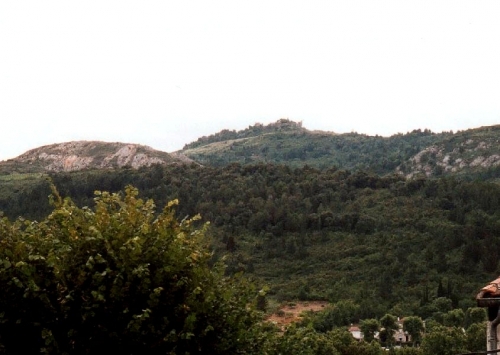 All the villages of the Pays de Sault were Cathar. The region in which I live near Narbonne is a similar size with the same number of churches but none are dedicated to Mary Magdalene or John the Baptist. As well as today's churches, some abandoned churches and abbeys point to a thriving Christianity in this isolated and little known mountainous area. But it might not have been Rpman Catholic christianity as we know it today, it was probably Arianism after the priest Arius, and then Catharism. Berenger Sauniere, if he didn't know it already, would soon have discovered the depth of the Cathar religion in the area and the Cathar belief that Mary Magdalene and Jesus were married, and the love of the people for Mary Magdalene. (Two churches had new bells in the 18th century - and dedicated them to Mary Magdalene.) Was this what Berenger's bishop sent him there to investigate? Berenger was a tireless walker and would have visited the Mary Magdalene churches in this area; he was a priest and would have spoken to other priests about the beliefs of the district and about the restoration of the churches, such work was popular at the time and the things might have been found. Meanwhile, he was a "snob"; contrary to the image of him as poor presented by the books in English, his father was a well-off businessman, a mayor, and he also worked for the Cazemajou family who were related to the Blanchefort-Hautpoul families that lived around Rennes-le-Chateau, and who were related to the lords of the Pays de Sault. Berenger might have started his researches with an investigation into the mysterious murder of a priest that took place in the Pays de Sault, at Niort, a murder that bears a marked resemblance to that of Abbe Gelis in Coustaussa. The lords of Niort were the de Negre family. Berenger would have been told their history by his father during his upbringing. The Lords of Niort owned the Pays de Sault. Their special chairs in the church of Niort are still there, since before the Revolution. It was 27th May 1732 at Niort-de-Sault, the home of the De Negre family, the Abbe Bernard Monge was assassinated. His body, in nightclothes, was found in the early morning by the gate of the presbytere garden. His skull was fractured; he'd been attacked by a cudgel and by fire-irons that had come from the chateau. Abbe Monge had wanted to build a wall, and had been threatened and told not to go ahead by François de Montroux from the chateau. François was the legal guardian of a young woman called Marie de Negre d'Ables. At the inquest the verdict was pre-meditated murder. François de Montroux was helped to escape to Spain, we can only surmise by the de Negre family, from where he lent François d'Hautpoul the money to buy the late Abbe Monge's former presbytere. That very same year, 1732, Marie de Negre d'Ables gave birth to a daughter, who was also called Marie. Twenty years later on 26th September 1752 Marie d'Ables the younger married her cousin, Joseph Marie d'Hautpoul, at Rennes-le-Chateau where the couple were to live. 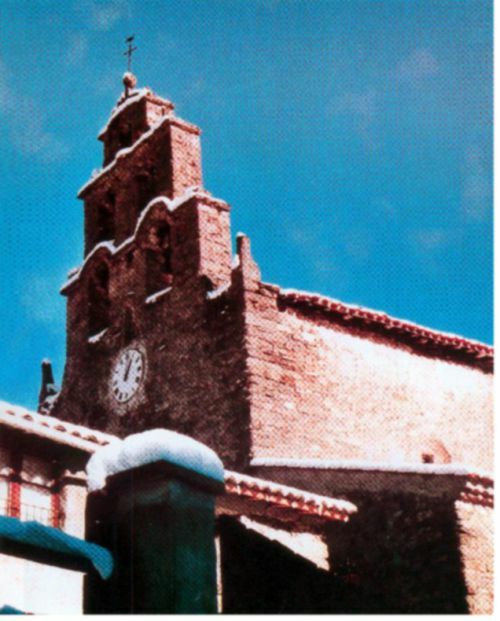 Only the first banns were called; 2 days earlier on the 24th, special permission was given to dispense with the other banns; the Bishop of Alet-les-Bains officiated. Among the eight witnesses were a notaire, a Parliamentary Advocate and an advocate for the groom. The church of Mary Magdalene where the couple were married in 1752. Why so sudden; did people find what Marie had, did that inspire them to take rapid action? Was it a marriage of property? 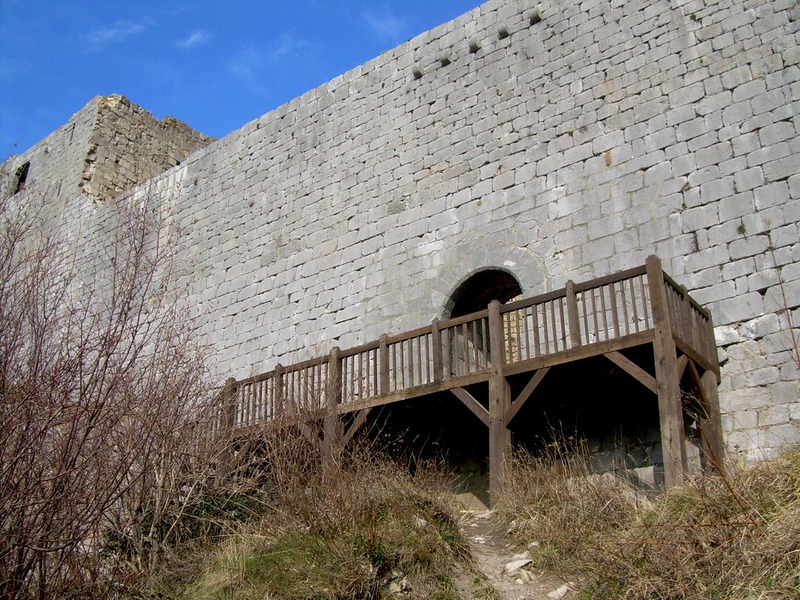 It linked two sides of the Hautpoul family and brought the village of Bugarach back to the Hautpouls. Why was Bugarach so important? The couple moved to Rennes-le-Chateau to live (with two days notice) and it's thought the young Marie brought various family documents with her. It has been surmised these included evidence that Jesus himself was buried somewhere on Bugarach mountain. Certainly something had precipitated and triggered these hurried negotiations. Marie was a princess in the Pays de Sault. There must have been an important reason for her to leave her home. Niort is the oldest known village in the Pays de Sault, built by the Visigoths under their king Argila, who also built the donjon at Montaillou. By 994 Niort had a monastery, wealthy enough to own properties at Niort, Rodome, Quillan and Antugnac near Montazels, Couiza and Rennes-le-Chateau. By 1774 the priest at Rennes-le-Chateau was Antoine Bigou, who had previously served at Marsa in the Pays de Sault, not far from Berenger's church of Le Clat. Bigou had known the young Marie; at Rennes he became her confidant and confessor. She did not get on with her children - her only son had died at the age of two - and was widowed, so when she herself died in 1781 she left documents and some personal treasure to her priest, Antoine Bigou, not to her daughters. Eight years later came the Revolution; priests were told to preach Republicanism and thus deny their church. Antoine Bigou refused and fled to Spain, where he died in 1792. 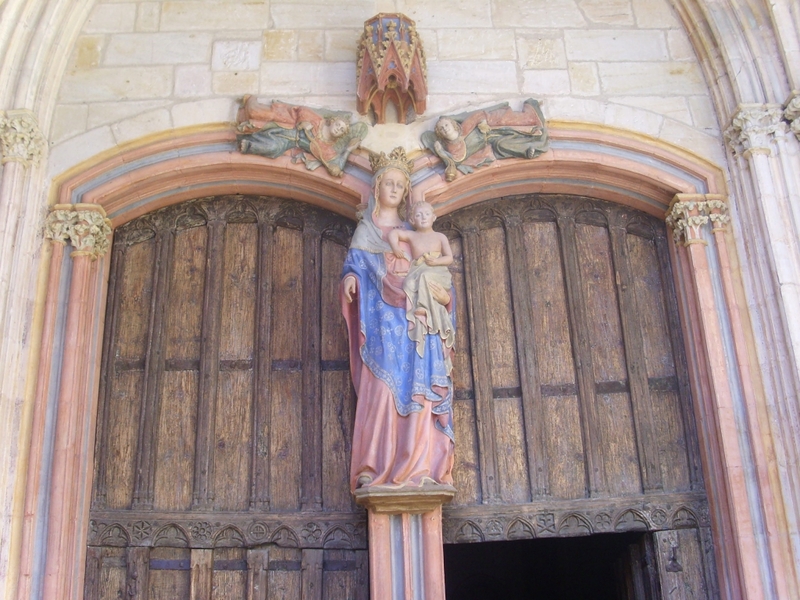 But before he left he hid various treasures in the church of Rennes-le-Chateau . 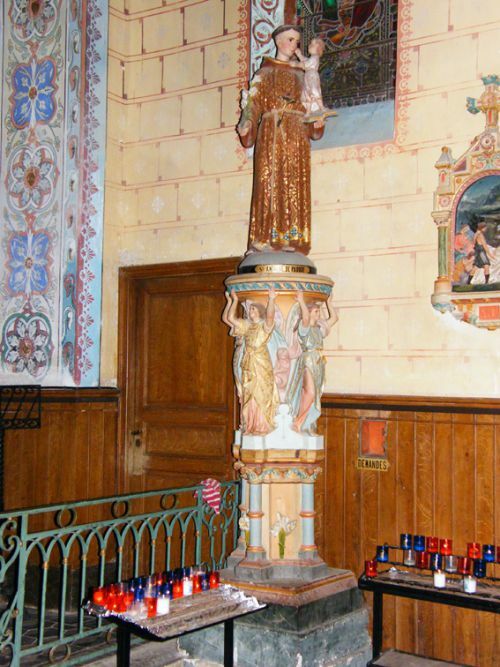 . . .when Berenger began his restoration of the church in 1886 he found a letter from Antoine Bigou and following directions, he found what the priest of nearly 100 years previously had left behind. This find delighted Berenger and his Bishop Billard, and inspired many jokes between them about the help given by St Anthony of Padua in finding lost things and the statue of St. Anthony, in the church dedicated to Mary Magdalene, was given pride of place, standing on a plinth supported by four angels, the largest and most glamorous of all the statues. Pictures of St. Anthony were also found in the Villa Bethania. Remember, the church of Marsa in the Pays de Sault was served by Antoine Bigou before he went to Rennes-le-Chateau and married Marie de Negre to her cousin. 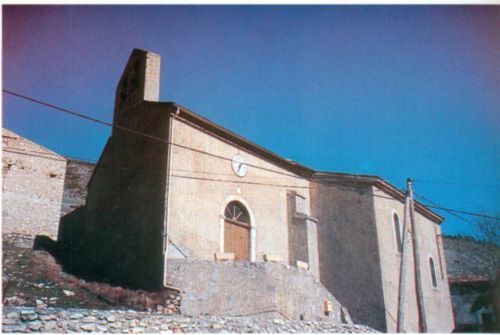 While Berenger was at Le Clat, the church at Marsa was being renovated. Did Bishop Billard ask Berenger to investigate if anything had been found? 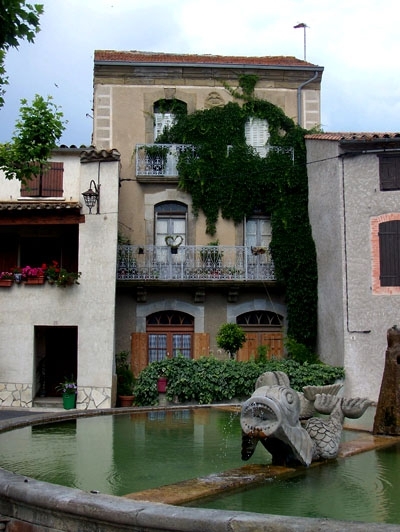 Before Berenger left Le Clat in 1885, a restoration had been started. A previous priest there at Le Clat, Jacques Roillet, had fled before the Revolution. Had he hidden something in the church before he left? Roillet too, like Bigou and Saunière, was anti-Republican. It was happening a lot in those days in the Pays de Sault and the Razes. At Rennes-le-Chateau Berenger got the money and permission to renovate his own church; he entered the crypt . . . Both he and his bishop thought he would find something - and he did.